Hal Stead gives private lessons in your home and at Parma Studio. 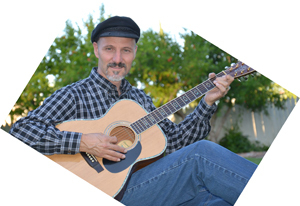 He has taught guitar, piano, bass, ukulele, music theory, and song writing full time since 1993. He is also a professional performing musician. Hal has taught students from 4 years to 80 with success. He has worked with troubled youth as well as children with Asperger Syndrome and Autism. Hal is a versatile teacher to help you become successful in music as well as learn real life skills.